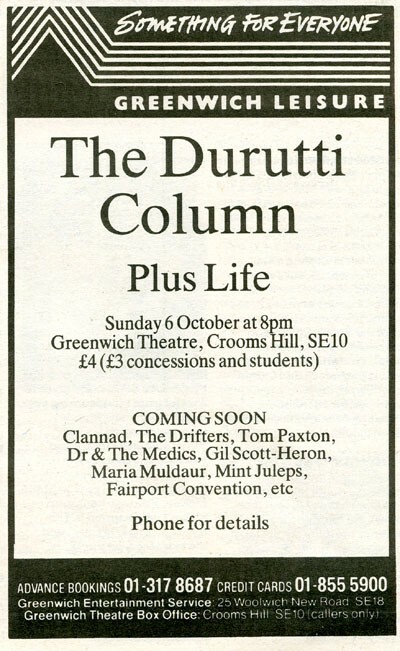 An advert for a gig in Greenwich in October 1985. Life were a vastly underrated corner of the Factory stable. I have two singles, 'Tell Me' and 'Optimism' and interviewed them for a fanzine when they supported A Certain Ratio at Teesside Poly in 1985. Did they do anything else?